True. A garage door is not the first thing you care about when power goes out. But when it comes to store the groceries, park the car inside or seek shelter during inclement weather or emergency, garage is undoubtedly a first place you will turn to. So, it is a wise and nice idea to get it installed with a backup battery to operate it in case of power outage. Here we have rounded up the reasons why your garage door opener should be equipped with a backup battery. Each garage door is equipped with a release mechanism that deactivates the garage door opener and allows you operate the door on your own. However, the doors are heavy, and then release mechanisms are sometimes stubborn. A battery backup eliminates the need of release mechanism when there is power outage. Once you install garage door backup, you can operate your garage door when power is disrupted. 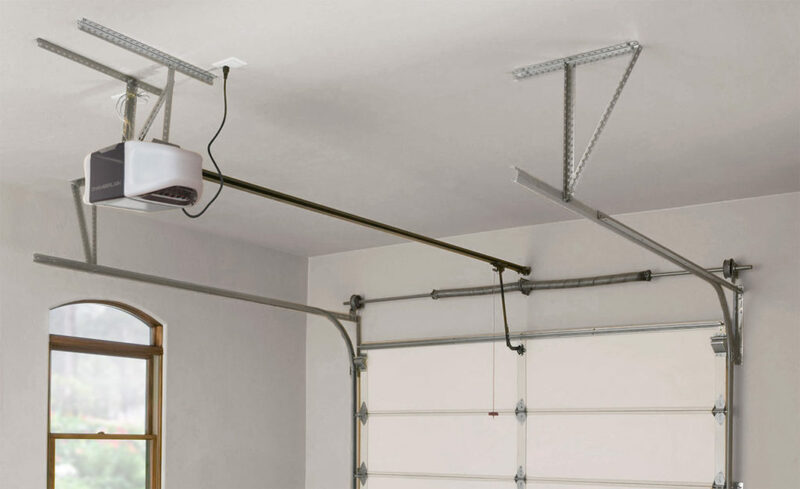 This feature makes big difference when you need garage door for shelter, parking or storage in power outage. Considering the importance of a garage for your home, make sure your garage door is convenient and reliable as well. A battery backup ensures you convenient and the smooth operation no matter if the power supply is working or not. How to Take Care of Your Backup Battery for Garage Door? The garage door battery requires maintenance from time to time. Can you hear tones or beeps coming from your garage door opener? It means that battery backup system is running low. Make sure there is a light in the wall panel that shows the battery power. Check it frequently so that you can get it repaired on time to avoid inconveniences during the power outage. Get it installed from a professional garage door service company only. NOTE: If your garage door doesn’t come with a battery backup, you unluckily can’t simply add one to your opener. You have to purchase a new garage door opener allowing you to add a backup option. ← Top Benefits of Insulating Your Garage Door!